Ok, so you’re a regular visitor to our beautiful South West and have spent countless days camping in Yalls, crashing at your best mates shack in Dunsborough or squeezing way too many people into a 3-bedroom house over a long weekend in Prevelly. But every now again, whether it’s for a special occasion or just cos you’re feeling special (or cashed up? ), it’s nice to have a weekend where you really, really live it up in the best possible way—we’re talking a total luxurious, pamper-filled, indulgent and relaxing few days. So because we’re partial to a little luxury ourselves here at TUL, we did the tough research (ahem..) to bring you the goods. Here’s how to have a total rockstar weekend down south. One of the best kept secrets down south, driving into Injidup Spa Resort is like entering some kind of luxurious dream world. A member of the Small Luxury Hotels of the World, Injidup is an intimate coastal retreat that promises tranquillity, luxury and fabulous ocean views….and more than delivers it. There are only 10 villas here—all with their own plunge pool and decked terrace, which looks out to what has got to be one of the most incredible views in WA. I’m talking breathtaking 180-degree views that will knock your socks off. There are two bedrooms, each with an enormous bathroom, heated flooring, an open eco fireplace, floor to ceiling window as well as an interior that is to die for. It is pretty much the most amazing place I have ever stayed and if I could move in, I would! Plus, the Bodhi J spa on site is one of the best ways to get your pamper on while you're there. Other Rockstar approved places to stay in the region include Cape Lodge, Empire Retreat, Windmills Break and Smiths Beach Resort. So let's be honest, you don’t really want to be bothered with navigating your way around this weekend, plus you have wines to sample and this is not the weekend to be designated driver. This is the weekend to be driven around in a Range Rover and ExperienceSmith private drivers have you covered. Sit back in style and these guys will get you to where you need to be for as long as you need. Inside the car, you will find iPads, newspapers, refreshments, mobile charging facilities and even refreshing hand towels if you need them. Yasss. Heads up, if you are truly having a rockstar weekend (as in you are actually a rockstar? ), these guys can also organise a private jet from Perth which will have you arriving in Margaret River in 30 minutes. Wow. OK, the weekend for fish n’ chips on the beach this ain't. You are a rockstar this weekend dammit, you’re all about sampling the finest produce this foodie region has to offer. If you’re staying at Injidup Spa Retreat, you would have been treated to THE most bangin’ gourmet hamper of fresh eggs, hollandaise, bread, poached fruits, yoghurt, muesli and juice which comes complimentary with your room. Next up: lunch! One of the hottest wineries down south at the moment would have to be Aravina Estate. Not only is Head Chef Ben Day whipping up some of the prettiest meals you ever did see, the meals are seasonal, innovative and absolutely drool-worthy. Sample some wine, sit in the restaurant overlooking the grand estate and get ready for one of the best lunches of your life. My tip: you’re going to want to start with the ridiculously tasty baguette with house made butter and smoked salt before you even look at the rest of the menu. Everything is pretty amazing but the Suffolk lamb rump and the pan-fried gnocchi have both reached cult status. 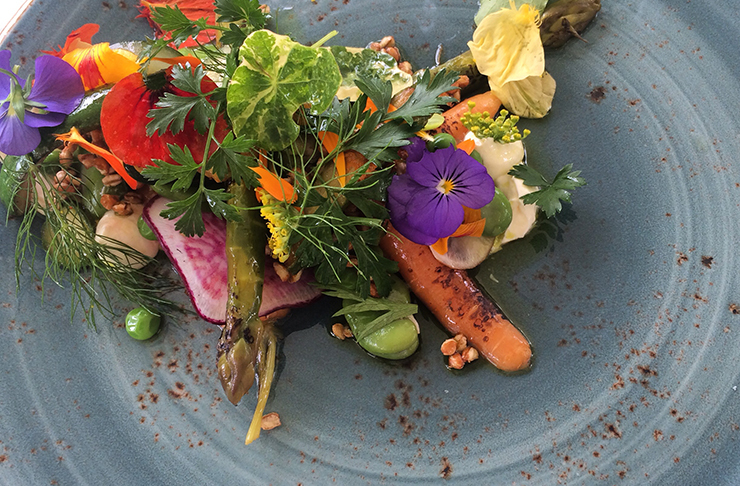 Other gorgeous fine dining restaurants down south include Studio Bistro, Cape Lodge, Knee Deep and Voyager Estate. This is a weekend for absolute indulgence so if you can tear yourself away from staring out at the ridic views of the Indian Ocean at Injidup Spa Retreat, it is worth visiting the Bodhi J spa for some take-me-to-pamper-town treatments, like the four hour long tranquillity package. They use beautiful natural products like the Sodashi range here and I can promise you will float back to your room afterwards. 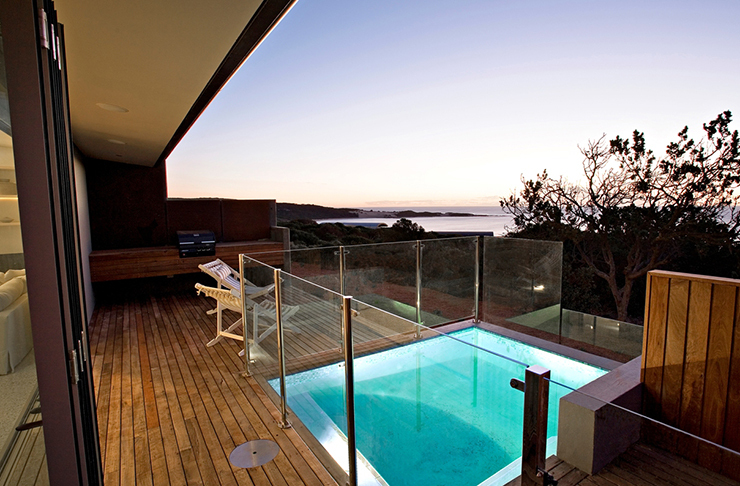 Other gorgeous spas down south include Empire Retreat and Vie Spa at Pullman Resort Bunker Bay. Sooo your indulgent weekend must involve some retail therapy ammiright? Dunsborough may be small but she boasts some of the most gorgeous boutiques around. You’re going to want to head into Adam Heath to get your mits on some AESOP products, as well as designer clothing from the likes of Rag & Bone and James Perse, Boutique Eco for the beautiful textiles, Laneway Boutique for the best Australian designer wares and Milc Homewares for some candles, cushions, beautiful clothing and on-trend accessories. Looking for more South West inspiration? Read A Guide To Margaret River With Surf Photographer Russell Ord!